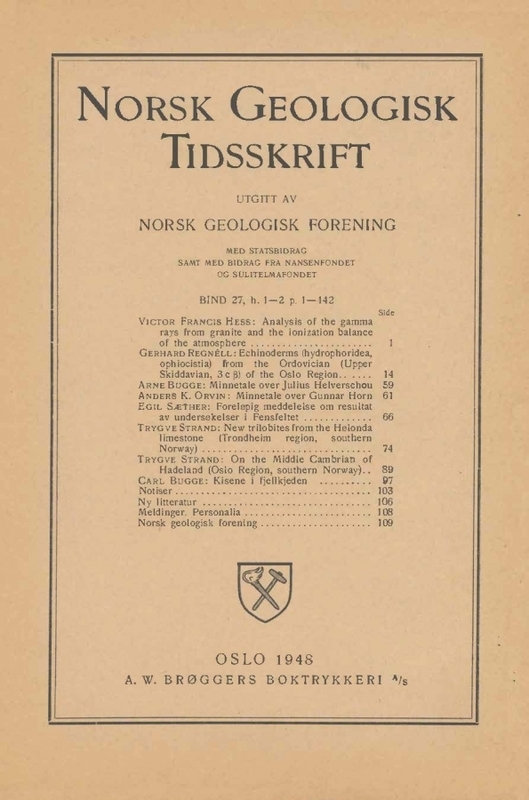 More than four years ago the author pointed out (1) that the observed difference in the ionization of hermetically sealed vessels over land and over water cannot be accounted for if one accepts the recently reported low values for the radium uranium and thorium content found by Robley D. Evans and Clark Goodman (2) as representative for the various classes of rocks. It seemed worth while to investigate this discrepancy. The large variations existing between specimens of the same type of rock taken from different localities makes it hazardous to draw conclusions on the average content of any type of rock, and to derive figures for the gamma ray ionization to be expected in individual cases. Such comparisons are meaningless if they are not made with very homogeneous types of rocks.